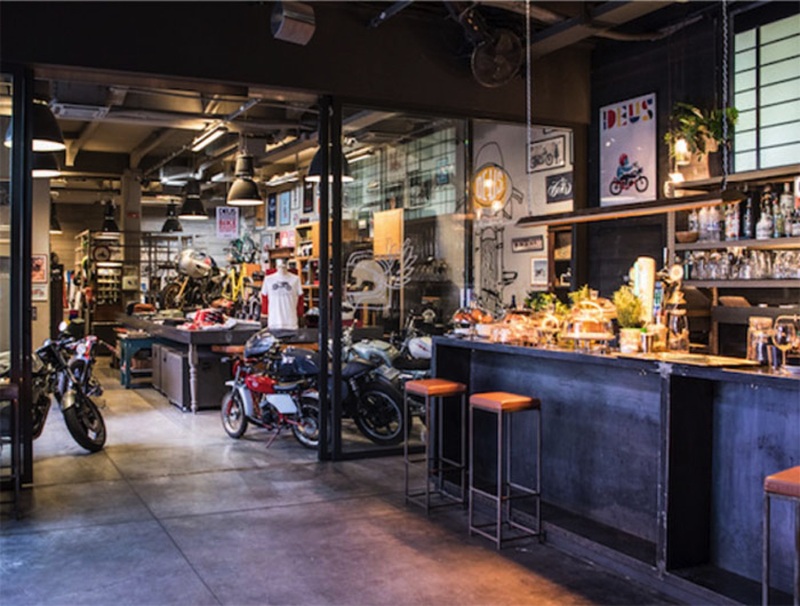 Deus EX Machina | Shop & Trade S.A.
Deus makes motorcycles. Stripped down and rebuilt. Customized for your life and revved up for everything else. Deus makes four gears and loose throttles. And that’s just the beginning. Deus makes surfboards, coffee and music. Deus makes things happen. That’s what Deus makes. For everything else, there is the Temple of Enthusiasm. For caffeine and gasoline. For burnt rubber and trimming fins. For fiberglass and blues. For tacos and tattoos. The Temple is where you end up from never going home. The Temple is the destination where the road doesn’t end. Right now there are 6 Deus Ex Machina Temples (Flagship Stores) in Sydney, Milano, Bali, Venice Beach, Tokyo and Biarritz, while in the coming months, new Temples will open in Istanbul and Ibiza. In each temple, we combine an F&B and apparel offer. 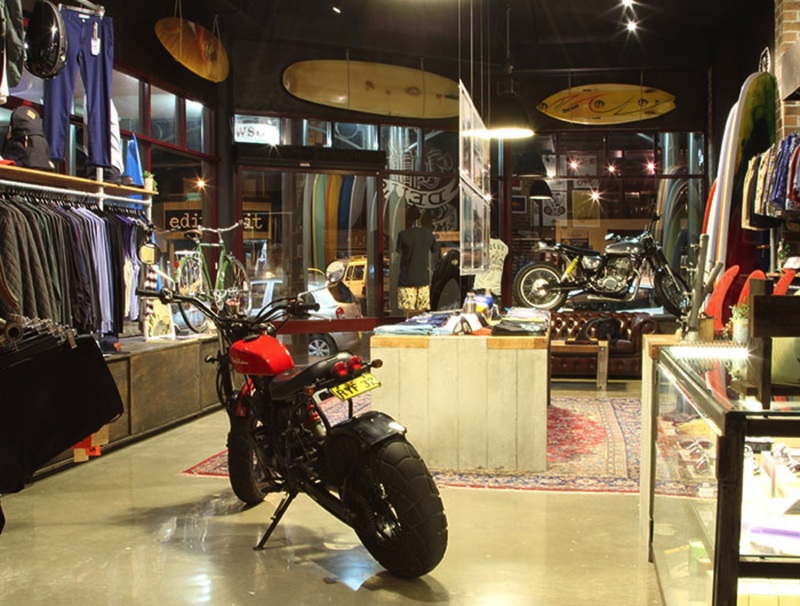 There are also Deus Ex Machina mono-brand stores are located in Spain (Madrid), Oberoi (Bali) and Australia (Byron Bay, Penrith and Werringah mall.